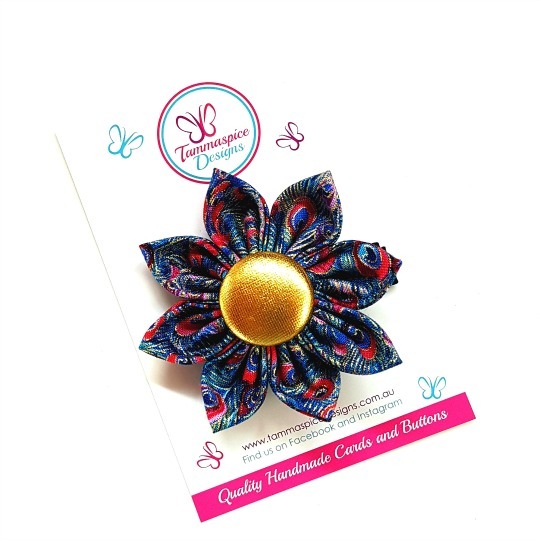 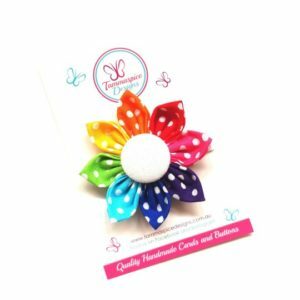 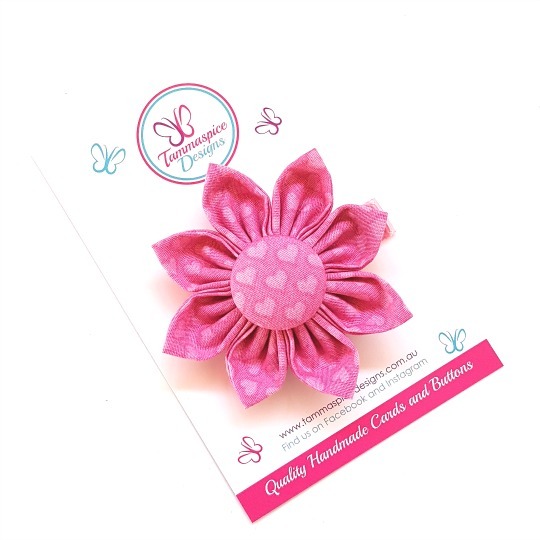 This beautiful flower clip (with a cream centre button) is lovingly hand-sewn together in our studio in Hobart, Tasmania. 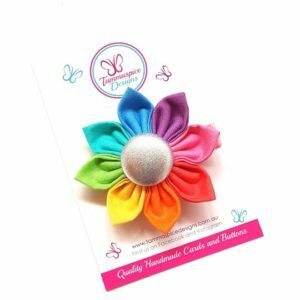 It is just gorgeous in both adult and childrens hair. 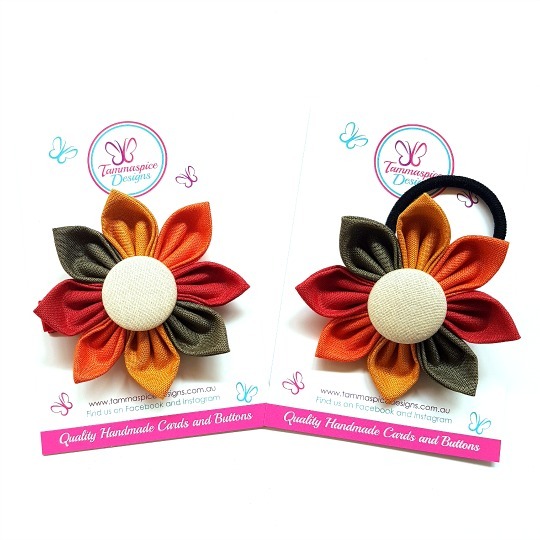 I’ve called it Colours of Autumn as it reminds me of the colours of the season ?